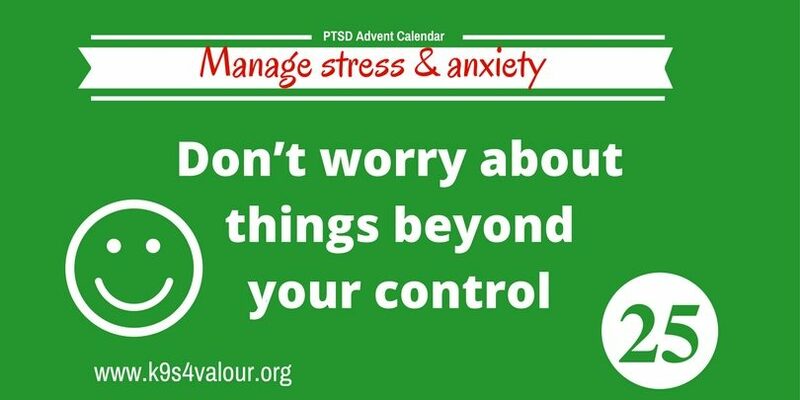 Don’t worry about things beyond your control. So your uncle and your dad get into an argument at every Christmas dinner and it makes you miserable. Remember your limits: you can’t control them, but you can control your own reaction to the situation.